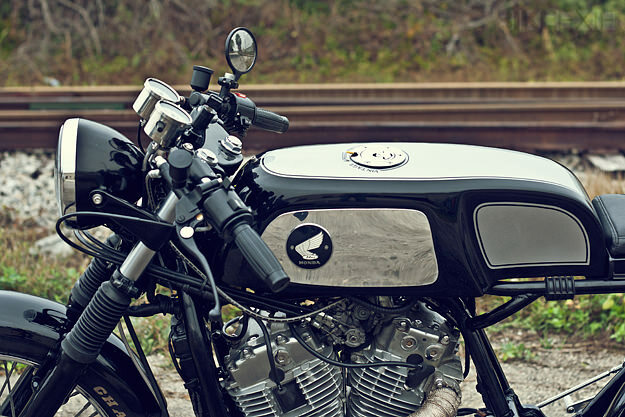 Jason Michaels is one half of Dime City Cycles, a leading light of the contemporary US cafe racer scene. 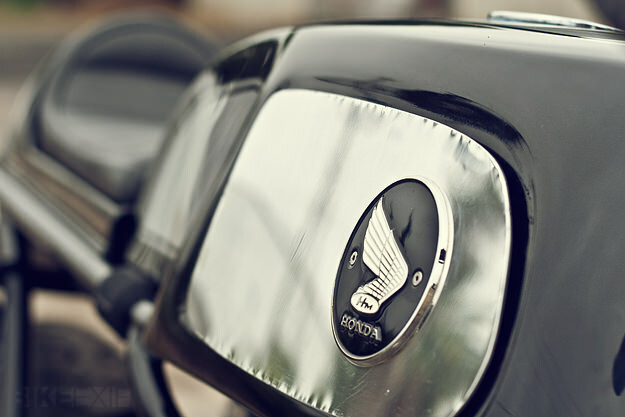 Being a good son, he planned to do some light custom work on his father’s Honda Shadow VT800—creating a comfortable cruiser his Dad could pilot around town in a relaxed posture. But after a thirty-day build, the bike delivered to the house of Michaels Snr. on Christmas Day was quite the opposite. 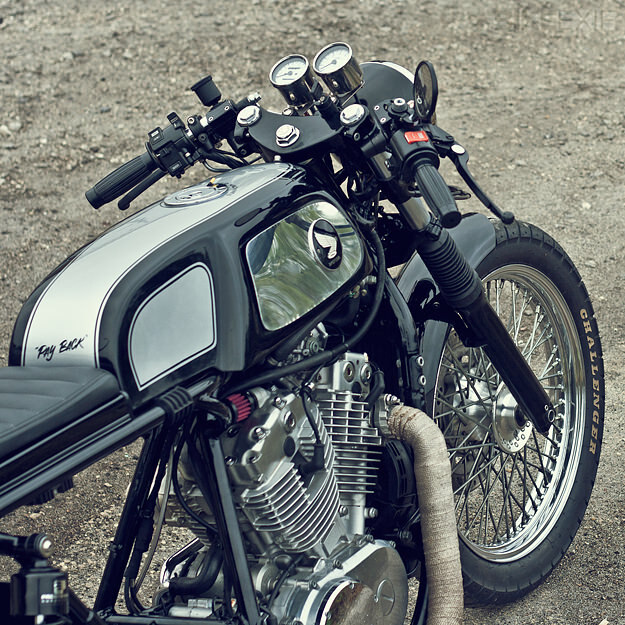 Jason and his partner Herm Narciso tore the Shadow apart and decided there was only one way the machine could leave the premises: as a Legendary Motorcycles Dunstall replica that Jason’s Dad could proudly ride while bearing the mark of The Wing’d Piston. The long stance and hunkered-down look come from a slightly raked out front end, hinting at vintage Norton racers. 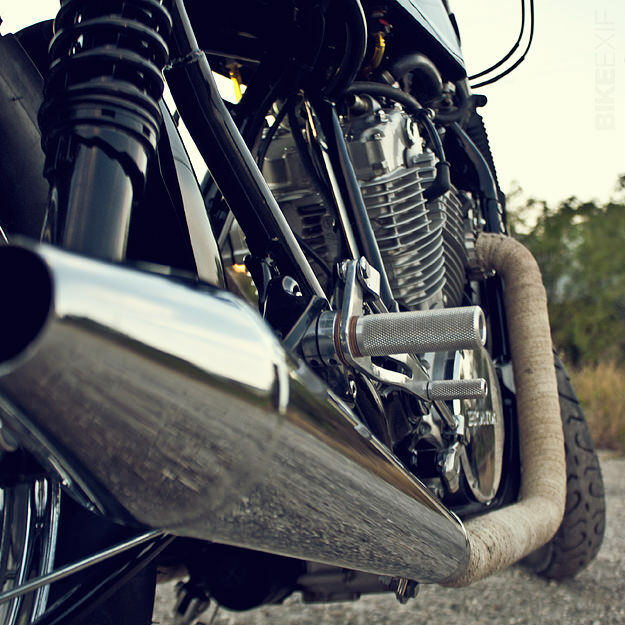 Granted, this was a Honda Shadow, and too tall for canyon carving, but Jason believed it could be turned into something that looked the part and “went like snot”, as the Brits would say. After rebuilding 75% of the frame from chromoly tubing, a Dunstall tank was fitted and sheet metal fabricated into a custom seat. All the electronics were hidden underneath the seat section, and an Anti-Gravity AG-800 battery hidden away. The Shadow has a 15″ rear wheel and time was too short to fit a set of custom spokes. So Jason searched far and wide and found a pair of Kenda Challengers that would fit the bill. The 150 rear, although not too big by modern standards, looks absolutely massive on the Honda—while the 100/90 front looks slim and sleek, hugging the modified front fender. The forward controls were removed and Loaded Gun rearsets installed. A tad lower than traditional rearsets, they offer a more relaxed posture for long distances and aging backs. With help from Progressive Suspension, a smooth ride was dialed in. “The feeling of power and torque when piloting the finished machine is quite indescribable,” says Jason. 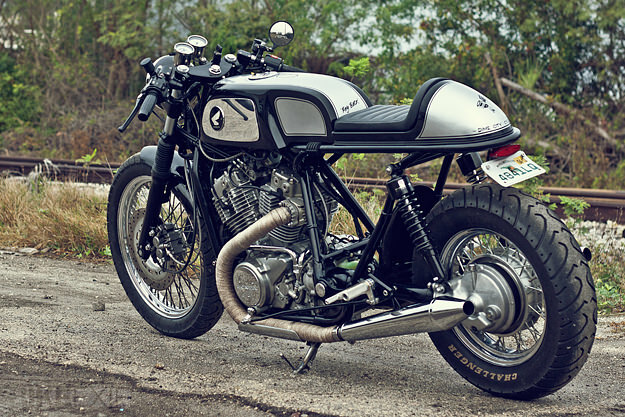 “The V-twin growls through the Commando mufflers and pulls through every gear like a lion.” The slight rake on the front end acts like a steering stabilizer and at high speeds the Honda doesn’t give an inch. 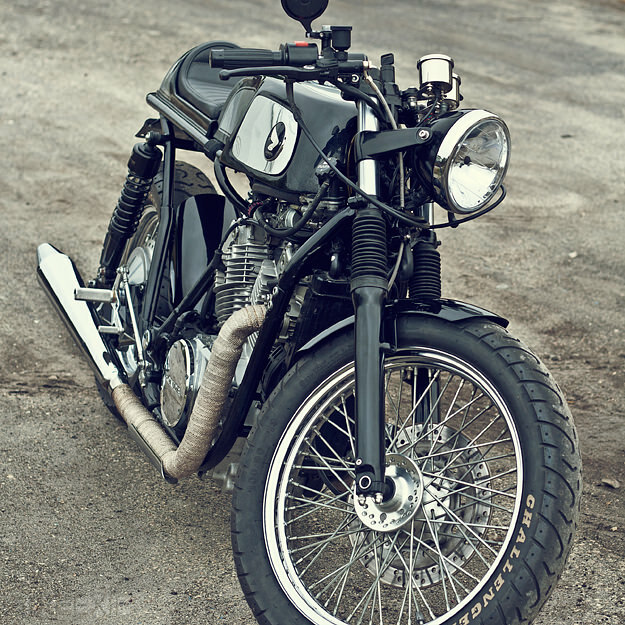 The bike is nicknamed “Payback”—a reference to the fatherly dues Michaels Snr. paid to keep his son alive and out of jail in his youth! And what did he think of the bike on Christmas morning? The tears started to flow, but were blown dry soon after by a long ride through the countryside.